The reason fiber helps some people is because it changes the feces in the colon. Soluble fiber forms a gel when it combines with water, which makes feces softer and slipperier, so they’re easier to pass. Fiber also adds bulk, which can be helpful – although it isn’t necessarily better to produce bulkier feces just because you can. Fiber and osmotic laxatives can be helpful for constipation if the constipation was caused by hard or dry feces in the first place, which it sometimes is. (Although fiber can also make constipation worse if it causes gut flora problems). But there’s actually a completely unrelated problem that can cause constipation, and that doesn’t respond well to fiber: slow-transit constipation. Slow-transit constipation means that there’s something going wrong with the muscle contractions in the colon that actually push feces out of your body. It’s not a problem with the feces themselves, so making the feces more slippery or soft won’t necessarily help. Slow-transit constipation typically doesn’t respond to laxatives or fiber supplements. Slow-transit constipation is not very common. If you have IBS-C, or if your constipation responds to fiber and water, you probably have normal-transit constipation caused by hard/dry feces, not slow-transit constipation. But there’s a very specific reason why slow-transit constipation might be interesting to Paleo people: it’s a common problem in people with diabetes. Did you know that constipation is one of the most common side effects of diabetes? One study found that 60% of people with diabetes were constipated. In fact, GI symptoms in general are more common in people with diabetes, and a lot of people also have diarrhea, or constipation alternating with diarrhea. This study found that slow-transit constipation in particular is more common in people with diabetes-associated constipation than in people with Irritable Bowel Syndrome or otherwise unexplained constipation. Of course, people with diabetes could also have the more common type of constipation that does respond to fiber and water. The type of diet that tends to cause Type 2 Diabetes also tends to be low in fiber, so it’s possible that adding more fiber could be helpful. But there’s something else going on here as well. Diabetes-related constipation still isn’t totally well-understood, but most studies agree that it has to do with blood sugar control. Worse blood sugar control is generally associated with worse GI symptoms. Chronically high blood sugar can cause nerve damage. This is called diabetic neuropathy, and it’s best-known for causing nerve damage to the feet, frequent urination, and blood pressure problems. 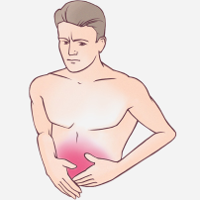 But if the nerves of the gut lining are damaged, it can also cause gastrointestinal symptoms. 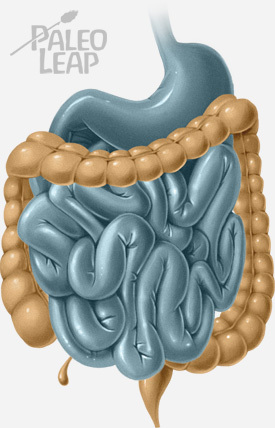 The nervous system in the gut controls movement of the colon (which is necessary to push food and feces through it), blood flow (important for absorbing nutrients), and other important things. Damage to the nerves lining the gut affects transit time, and it can cause constipation as well as diarrhea and other gut problems. This study proposed two potential ways that nerve damage caused by high blood sugar could cause constipation; you can read all the details there if you want but the short version is that they both have to do with inadequate levels of acetylcholine, an excitatory neurotransmitter that increases muscle contractions in the colon. We can induce slow-transit constipation in healthy people by giving them drugs that reduce acetylcholine. Drugs that increase acetylcholine release improve constipation in diabetics. And guess what other kind of drug affects acetylcholine? Caffeine, aka that cup of coffee that “gets you moving” even though it doesn’t have any fiber at all. The blood sugar/acetylcholine connection could also explain another group of people more prone to slow-transit constipation than usual: the elderly. High blood sugar gets more and more common as people get older, and elderly people also have high levels of constipation related to neuronal damage and acetylcholine problems. Blood sugar may also affect hormones important for gut motility. This study (admittedly in diabetic mice, not diabetic humans) suggested that blood sugar levels could affect several different hormones responsible for causing constipation. For humans specifically, there’s evidence that blood sugar levels may affect a hormone called motilin. Motilin is a hormone that helps provoke the movement of the gut muscles that push food through the intestines. If high blood sugar is preventing you from producing enough motilin, then you won’t get the proper contractions and the food will take longer to go through the gut, causing slow-transit constipation. Constipation caused by high blood sugar can also cause other problems which then rebound as more constipation. This review explains that when things get too blocked up, the constipation can cause bacterial overgrowth in the gut flora, which rebounds as more constipation. But the gut flora overgrowth isn’t the root problem, and treating it without treating the root problem won’t help because the constipation will just come back and start the cycle over again. This study also presents some evidence of the short-term effects of blood sugar spikes on the digestive system (including gallbladder problems and issues with enzyme secretion on top of everything else) and cited a lot of evidence from studies in healthy people, not just diabetics. That’s at least a hint that this effect might not be limited to people with outright diabetes. For one thing, it’s pretty depressing evidence of just one more way that the typical American diet can really mess up your body in ways that you might not have even considered before. But it also has practical consequences for people with constipation that doesn’t respond to the usual home remedies (water, fiber, exercise…). And that’s true even for thin people. Many thin people have chronically high blood sugar. You’re not immune to hyperglycemia just because you’re thin! The link between digestive symptoms and high blood sugar suggests that improving blood sugar control could help with constipation. If nothing else, at least it would prevent any additional neuron damage caused by high blood sugar, and given the evidence for a short-term effect, it might help relieve the symptoms as well. The role of oxidative stress and advanced glycation end-products (AGEs) in diabetic nerve damage also suggests that taking care of inflammation might be helpful. This study found that diabetic GI symptoms (constipation and diarrhea) were associated with higher levels of oxidative stress in the colon, and suggested that the neuron dysfunction might be a result of oxidative stress. This study suggested that the problem of slow transit may be an inflammatory immune response. All of this is pretty speculative – if you look at the research, you’ll see that most treatments for diabetes-related constipation involve a long list of medications with barely any mention of diet – but it might offer some answers or possibly helpful diet tweaks to explore for people whose constipation just isn’t responding to fiber and water.